The remarkable 1870s “Beers” atlases of Vermont, with beautifully rendered maps of every town, are now available on CDs which can be read by home computers. David Allen of West Chesterfield, NH, scanned each of the 11 atlases and one map during the summer of 2006 and has just completed publishing the scans in convenient PDF format. These reproductions of old town and village maps – each with homeowner’s names – are an invaluable resource for those doing research into old roads, houses, or family genealogy. Hikers and hunters find these old atlases useful as many of the old roads can still be found as trails in the woods today. David Allen scanning the Hancock map from the Beers Atlas of Addison County. A typical F.W. Beers atlas, Addison County, was published in 1871. The original is a hardbound atlas measuring about 13” x 16”. It has 50 pages containing 55 separate town and village maps, early history of each town, business directories and statistical data. Some of the atlases (but not Addison) feature sketches of the homes of prominent citizens, local landmarks, and public buildings. The location of each factory, business, church and school was also mapped. 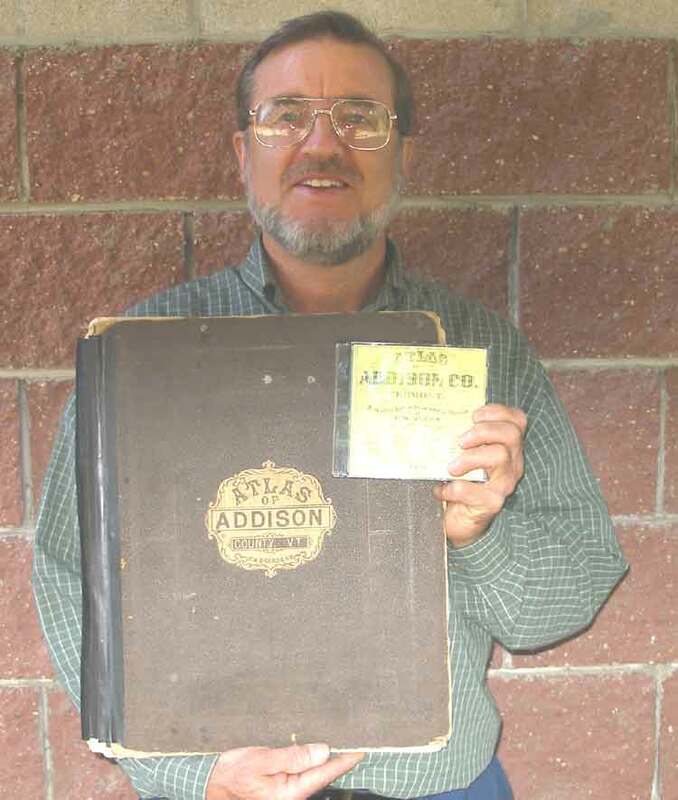 Right: Allen holding an original Addison County Atlas, and the new CDROM edition. These old atlases are a well known resource of Vermont History, but original copies are hard to find, and are often in fragile condition. Mr. Allen received access to original copies for scanning at the Vermont Historical Society, the Library of Congress, and from several private owners. There are more than 600 separate maps of Vermont’s towns and villages contained within the original documents and on these new reproductions. This is the second set of old Vermont maps published by Allen. 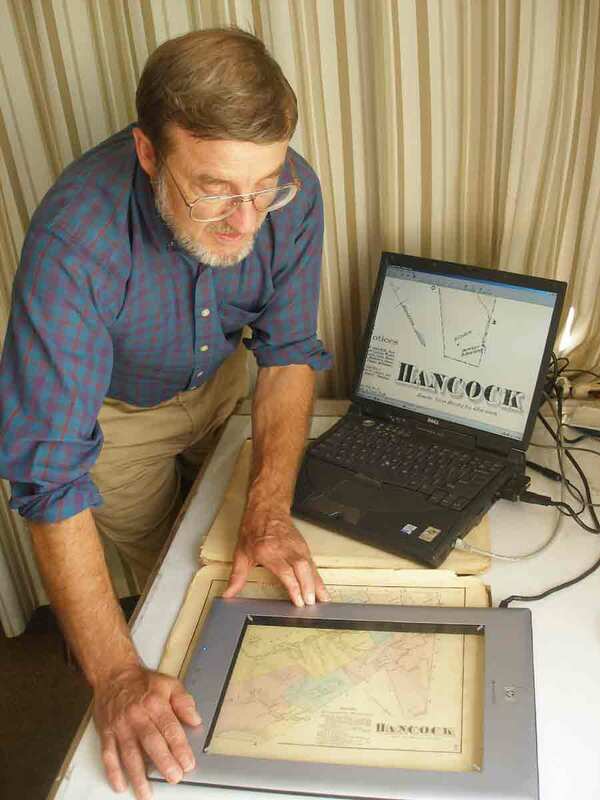 Last year he scanned all of Vermont’s 1850s county wall maps. “I was surprised and pleased at how well the 1850s maps were received” said Allen. “They have sold very well on-line and in bookstores. I think the old roads controversy in Vermont must have had a lot to do with their popularity.” The Vermont legislature has just passed a law requiring towns to inventory their roads, and these maps are a primary source for road research. The “Beers” atlases are the same sort of map, showing roads and homeowner names, but with many changes from the earlier maps – the Civil War and railroad expansion led to a lot of migration into and out of Vermont in this period. For more information, check the web site www.old-maps.com or call 413-772-2801 (days). The CDs are priced at $30 each (plus $4 shipping). The map CDs can also be found at bookstores throughout Vermont. 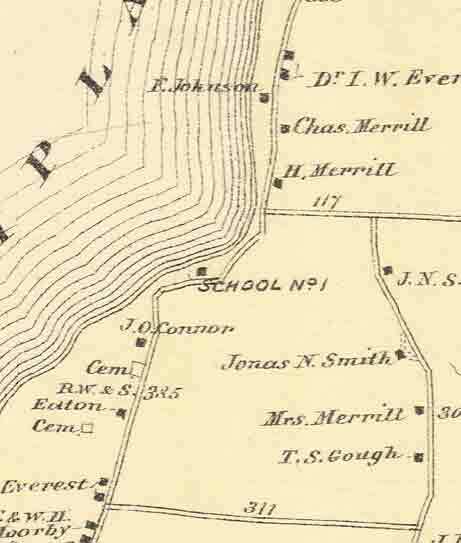 (For last year's Press Release on the 1850s maps of the same areas, click here. ).